How to Undelete Notes on iPhone 7/6S/6/5S? Home> Resource> iOS Recovery> How to Undelete Notes on iPhone 7/6S/6/5S? It is known to all that iPhone has a default "Notes" app, which allows users to store all important meetings, list, schedules, dates, etc. at anytime. Thanks to the iPhone notes, you have never missed any crucial date or schedules in the past years. But sometimes you may lose those notes from your iPhone due to various reasons, such as a failed jailbreak or system upgrade, accidental deletion, and so on. Therefore, you may wish to undelete iPhone notes when the tragedy is happening, right? 1. 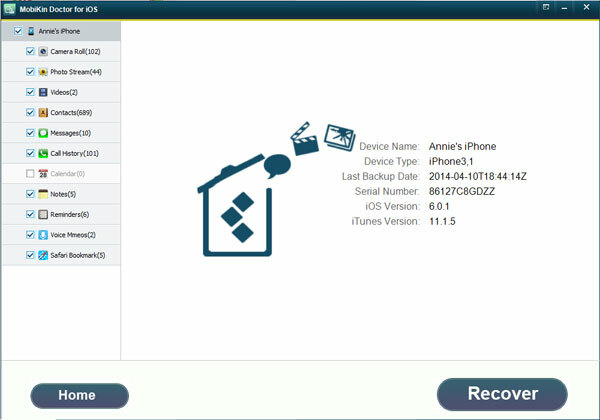 You have made a iPhone backup with iTunes or iCloud, so that your needed data is included. 2. You can't restore only your needed data like notes to the iPhone, that means other data on your iPhone will also be replaced by the contents in the backup. 3. More data may losing during the restoring process due to unpredictable reasons. Obviously, restoring notes from iTunes or iCloud is not a wise choice here, especially when you only need to undelete specific notes on iPhone. Thus, we could like to strongly recommend a tool called MobiKin Doctor for iOS for your reference. 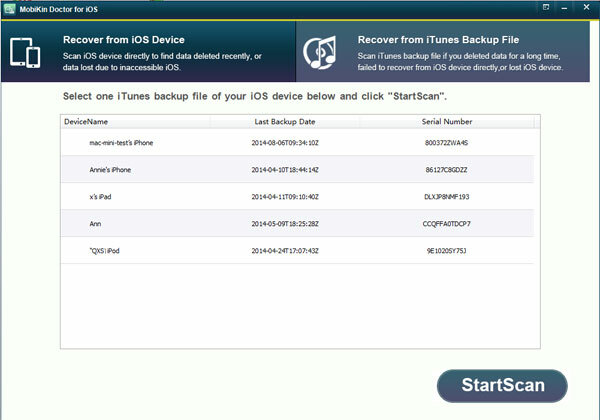 It is a standalone data recovery software for iPhone users, which allows you to recover only your needed files on iPhone, iTunes backup as you like. And you're also allowed to use it to undelete data like photos, contacts, SMS, safari bookmarks, etc. completely. Now, just click the below icon to get this powerful tool and follow the below tutorial to begin your own iPhone notes undeleting process. Step 1. Connect your iPhone to the computer and make it be recognized by your iPhone Notes Recovery software. To ensure it, you need to install the latest iTunes on your personal PC. Step 2. The default mode of the program is "Recover from iOS Devices", so you don't need to switch the option here. You only need to hit the "Start Scan" button to begin to scan for files. Step 3. When the scanning is finished, you can find "Notes" category in the left panel, and preview the detailed info in the right panel as you like. Tick the notes you wish to restore, and then hit "Recover" button to save them on your computer. You don't need to link your iPhone device to the computer while you wish to use this mode. 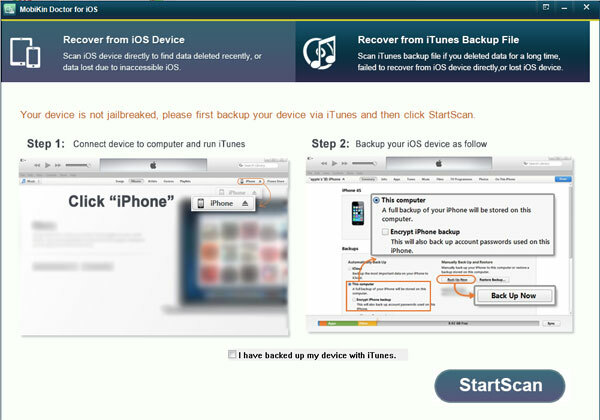 Here, you only need to launch the program and choose "Recover from iTunes Backup" option in the main screen. Then, you'll get a list of the iTunes backup files and you only need to choose the right one for scanning. When the scan is finished, you can enter the "Notes" folder and choose the one you wish to restore. Then hit "Recover" button to save them on your computer. 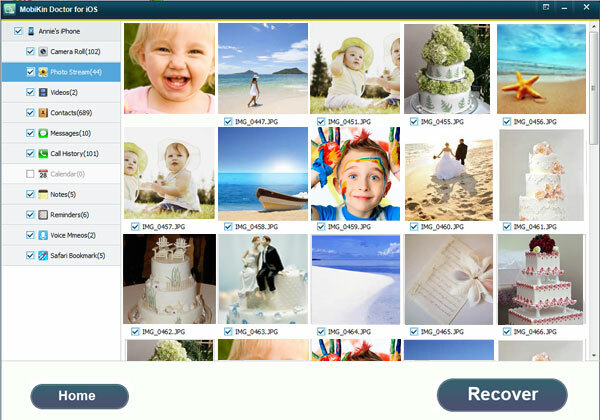 How to Effectively Recover Data on A Locked iPad? How to Recover Deleted Line Chat History & Messages on iPhone?